Before Christmas, I had had enough with Mac OS X 10.7 Lion. Despite my Late-2008 Aluminum MacBook having 8 GB of RAM and a speedy hard drive, Lion would consistently drag to a slow crawl. Generally, the RAM hog was the new Safari, but some system processes were also taking hundreds of MBs of RAM. Of course, when my Free RAM disappeared, the system would become sluggish. I thought that all of this was very odd, not just in the memory usage by the OS, but also in Safari, since I don’t run with Flash or any extensions enabled. So, I decided to go back to basics. I made a bootable 16 GB USB drive with two partitions: one for Mac OS X 10.5 Leopard and one for my MacBook’s application restore DVD. I made each partition 8 GB, and I created the first partition with a GUID partition table so that it would boot on the Mac. I then restored the Leopard and applications DVDs that came with my MacBook to each partition respectively. Finally, I booted from the USB drive, formatted my internal hard drive, and reinstalled Leopard, Apple’s apps, and other apps that I regularly use (e.g., Microsoft Office 2011). As they say, Leopard was built for speed, Snow Leopard for security, and Lion for Apple’s increasingly firm grasp on the desktop computing experience. I might not have access to the Mac App Store, iCloud, or the latest version of Safari, but I do have a snappy computer again that does everything that I need it to do. I might not expect any future security updates, but I can be smart about my online computer use, run ClamAV in the background, keep installed apps to a minimum, and patch any holes in the software that I do run. I suppose there is a point where Apple’s regular release cycle of faster operating system experiences for older hardware had to end. I also suppose that we have passed that point with the transition from Leopard to Snow Leopard to Lion. 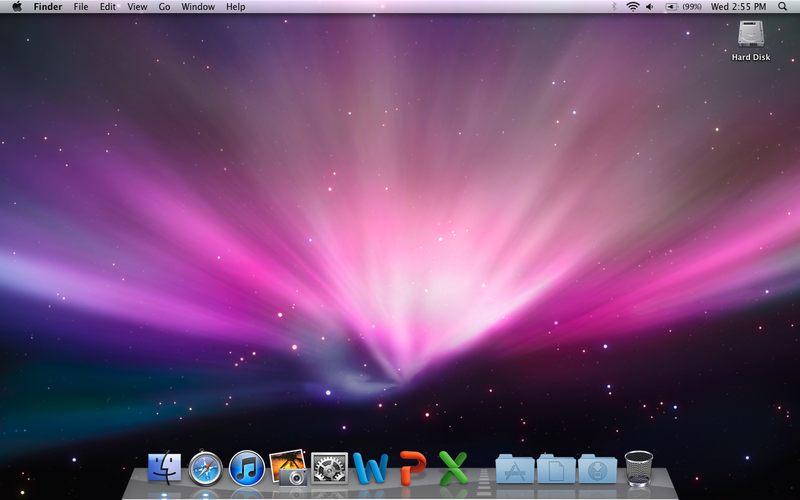 Apple has big plans for Lion and its increasingly iOS-like user-experience. As they layer those things that work well on touch-devices like the iPhone and iPad on the non-touch Macs, it begins to weigh down what was an otherwise agile operating system. This trend increasingly makes me wonder if convergence is such a good idea. I am growing more dubious of this trend as time goes by. Additionally, I am growing increasingly concerned about the hardware and software development cycle. Getting people to buy more things certainly drives innovation through sales, but I see a lot of good things in older technology like Leopard. Also, what is the effect on the environment by our continuing desire to own new computer technology while discarding the old? I am investigating hardware and software of a long bygone era in old PCs. Certainly motivated by nostalgic feelings, I want to uncover in the archaeology of computing things that used to work that we have gotten away from. What works and could still work today despite being 10, 15, 20 years old? What can we learn from old software? What can we continue to enjoy from old software? I will write on this more in the near future. Alastair Reynolds' "The Sledge-Maker's Daughter"